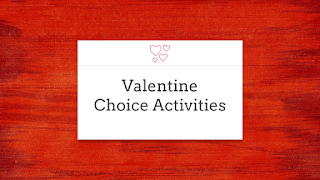 With Valentine's Day this week, feel free to use this with your kiddos, too! Feel free to share the link with them and step back to see where their creativity takes them. Hello! This is fantastic; thank you for sharing! I can view all the slides and complete the activities, but when I share this with students they get an error message stating that they need permission to access this published document and may need to sign in as a different user. This may be an issue with our student setting in GSuite, but I thought I'd check with you to see if anyone else had the same issue. Thanks! Melissa, I've not heard from anyone - I double checked the settings and I've shared the publish to the web link so it "should" be accessible to your students. Are you posting the link in Google Classroom? If you have/use the Chrome extension "Share to Classroom" when you have it up on your screen, you could push their computers directly to it (hopefully)! 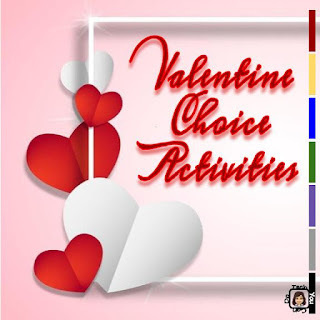 You could also try having them go directly to the bit.ly/valentinechoices link. I hope it works out!